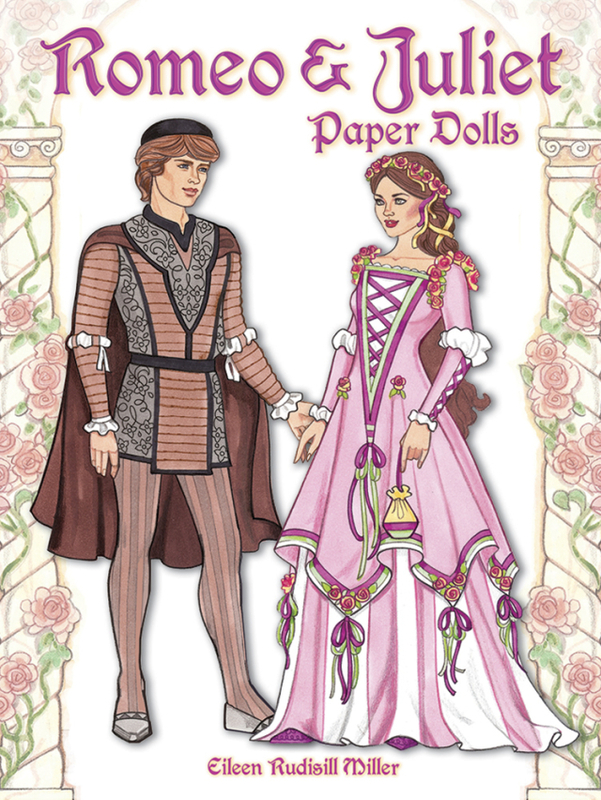 Four dolls depict Romeo, Juliet, Friar Laurence, and Juliet's Nurse. Their wardrobe, consisting of 24 original costumes plus accessories, is accompanied by quotations from the immortal play. In addition, the book's inside covers offer the perfect background: a rose-covered balcony.